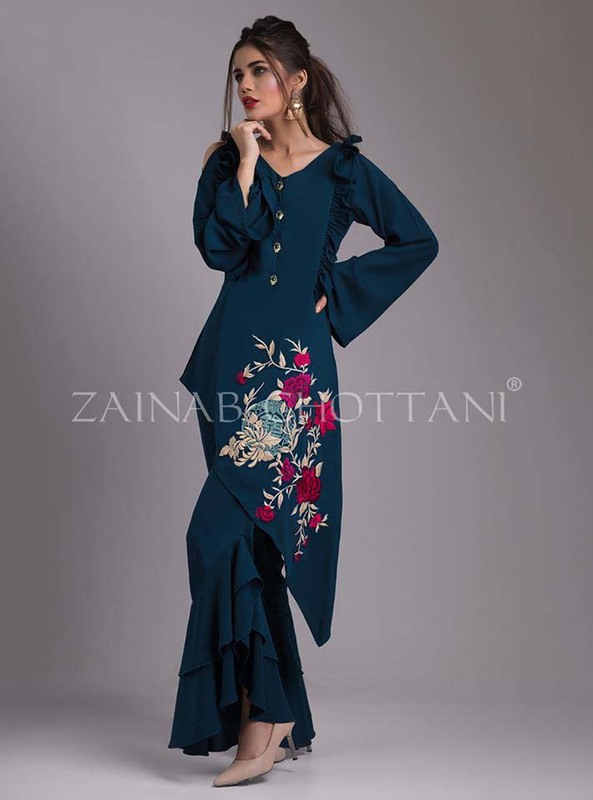 Zainab Chottani is one of the shinning name of Pakistan clothing industry, she has started its career as she has breathtaking clothing range which includes stunning Bridal Wear to chic Pret wear. 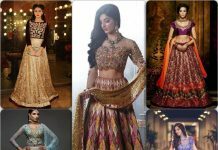 She has gained massive global reputation in bridal couture that presents her delicate embellishments in luxuriant stuff in both soft and bod hues. As fashion sense is part of Zainab Chottani’s life from her younger age. She has keen sense how to use modern cuts and intricacy in her pret collections. Her first Pret assortment was launched named as “AQUA” based in simple cuts. 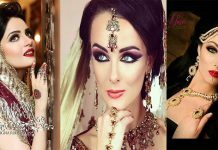 She has also showcased her collections to delight their customers at international level as well like in Doha and UK, where she was applauded for her exquisite collections. 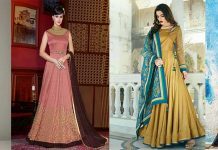 This ravishing series is in black, off-white, grey with blue, pink, maroon, green, ivory, golden, plum and many more stunning hues. 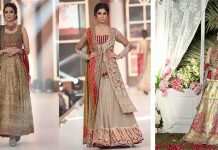 These lavish dresses are only best for Eid but also for party wear. 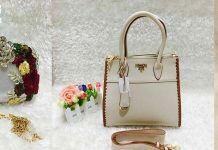 By wearing outfits by this brand you can make your day memorable. 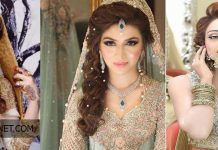 Zainab Chottani Luxury Eid Dresses 2017 contains amalgamation of maroon, black, silver, ivory, blue, golden, pink and beige. Starting with the Peplum series of this series, the navy blue peplum top complimented with salmon pink 3D floral embroidery on daaman, neckline around front and back. 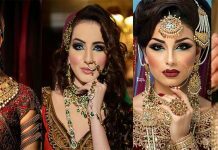 The outfits are adorned with heavy loads of kora, dabka, stones, pearls and motifs. This collection is brings something special to its customers. 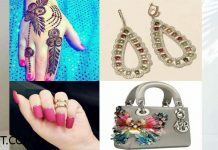 She has as usual stunned its customers and clients by bring this ravishing assortment in market. This stunning range is available at all its leading outlets. 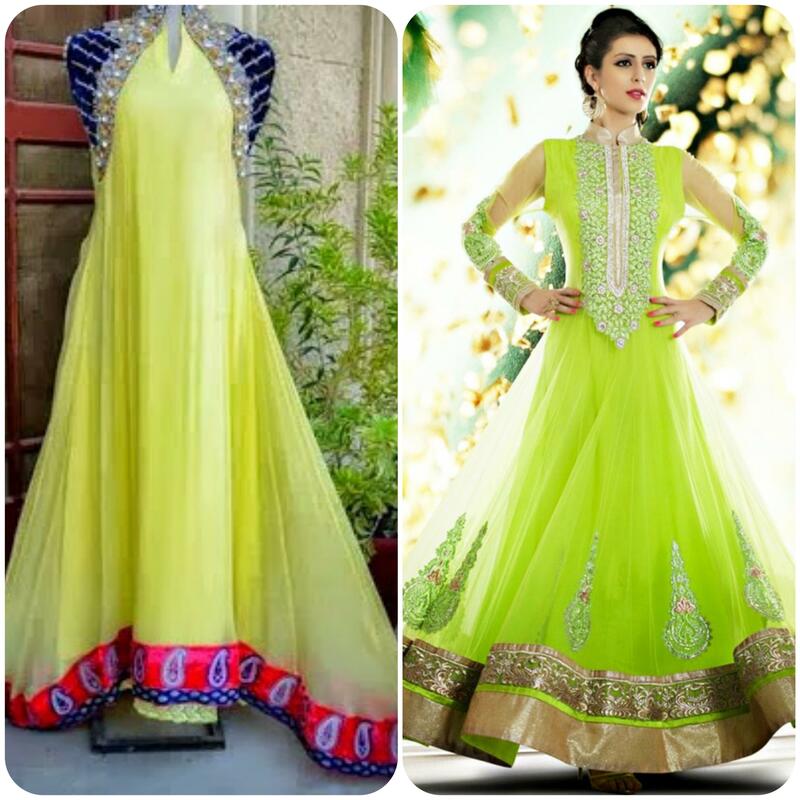 So go and grab these glitzy formal dresses and rock this festive. 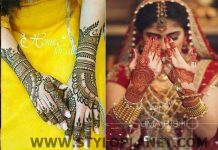 For more updates visit StyloPlanet Eid Gallery. Look effortlessly preppy in our cobalt straight shirt accentuated with a ruffled neckline and embroidered daaman around the front, beautifully finished with ivory tassels. Add the stylized ruffled pants for a complete chic look. This ethereal heavily embellished shirt with pearls, kora dabka and sequins is perfect for an evening look. The outfit is enhanced with culottes with embellished border at the bottom finished with organza. It is beautifully coordinated with a cobalt blue sequined spray dupatta. Look exquisite in this wine red flawless peplum outfit with embroidery on the neckline and daaman embellished in silver gold kora dabka, sequins. This beautiful top is highlighted with culottes with embroidery at the bottom .The outfit is beautifully coordinated with mint sequined spray dupatta. This beautiful ensemble is an ethereal amalgamation of pastel shades. The mix of ivory color with pink and mint embroidery creates a perfect look for sunny summer. The outfit is enhanced with embroidery in beautiful 3D flowers and butterflies. It comes with ruffled pants and powder pink sequined spray dupatta. This beautiful ensemble is a combination of beige with vibrant floral embroidery on the daaman which strikes a perfect balance for an evening look. The embellished neckline in kora daka sequins adds to the look. It comes with jamawar pants and is beautifully coordinated with hot pink dupatta. This beautiful plum straight shirt is adorned with all over embroidery, embellished neckline and beautiful cutout damaan is perfect for this eid. It Comes with pearl spray grey dupatta and plum embroidered motif pants. Be trendy with the very chic navy blue peplum. Complimented with salmon pink 3D floral embroidery on the neckline and hemline around the front and back. The stylized sleeves complete the glam Eid look. Surpass elegance in this coffee straight shirt accentuated with beautiful ethnic embroidery on the daaman and irregular sequin spray around the neckline. This fantasy embellishments has made this dress a masterpiece. Be a trendsetter in our crème georgette top with floral vibrant embroidery in cobalt blue and navy. It is enhanced with stylized pants. Look alluring in our deep plum georgette uber chic top with flamboyant floral embroidery. It is enhanced with frill pants with antique buttons. This oriental inspired teal; asymmetrical georgette top with vibrant floral embroidery is a trendsetter. It is beautified by ruffles on the neckline and frilled pants. Go trendy in this navy blue floral inspired georgette ensemble this season. It is accentuated with uber chic pants. ]Show off your preppy style in this chic flowy Georgette top, highlighted with vibrant embroidery. These trendy pants add glamour to this festive event. Look irresistibly chic in our ivory front open shirt with exquisite vibrant embroidery on the neckline and daaman. The flattering ruffled sleeves complete the chic ensemble. Give yourself alluring look in this rouge red caftan with black embroidered neckline enhanced with embroidery on the daaman and sleeves. And the beautiful drape of dupatta is enhancing this outfits charm. Opt for our peach straight shirt featuring beautiful 3D floral embroidery on the daaman and back. Add stylized for an irresistibly chic look. Go glam in our monochromatic front open shirt with pearl embellishments on the collar. The beautifully exaggerated sleeves complete the look. 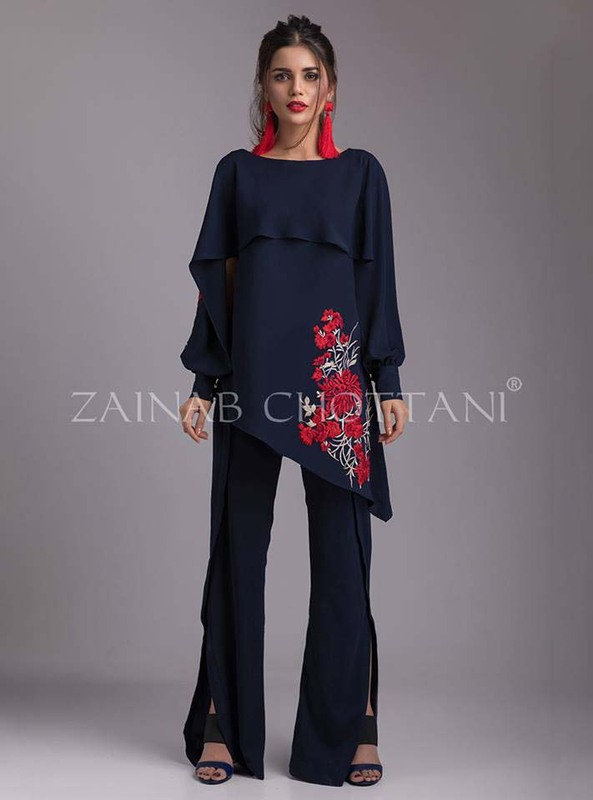 Zainab Chottani is one of the shinning name of Pakistan clothing industry, she has started its career as she has breathtaking clothing range which includes stunning Bridal Wear to chic Pret wear.